You still have work to do before the big day to provide a safe environment. 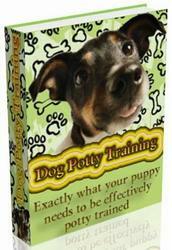 You will need to puppy proof your home to preserve both your dog and your sanity. The box on pages 48—49 explains puppy-proofing. If you bring a puppy or adult dog home in the summer, make sure he cannot accidentally get into a swimming pool. Lots of Jack Russells love water and swimming, but your dog should always do so under your supervision. When your dog is allowed to swim, install a safety ramp so he can get out of the pool without the danger of drowning. Inspect your fence regularly. Make sure there are no gaps under, between, or through any part of the fence and that it is tall enough to contain a small dog who can jump several times his height. Because of their inquisitive nature, without attention to protection and good containment, JRTs can wander. 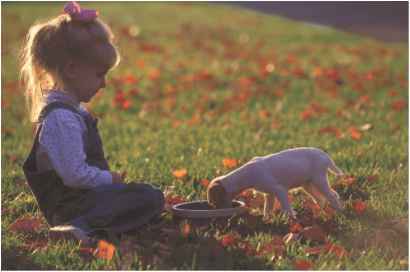 Rather than risk your dog being picked up by animal control, and possibly not being reunited with you, keep him safely contained at home and safe on a leash when you're out. 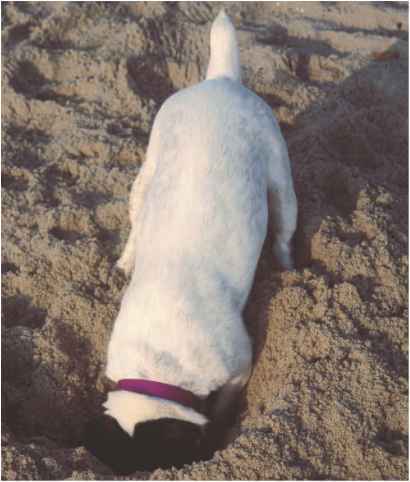 Jack Russell Terriers were born to dig——and jump. Your fence will have to be tall enough to contain your dog and sunk deep enough into the ground to foil his digging efforts.